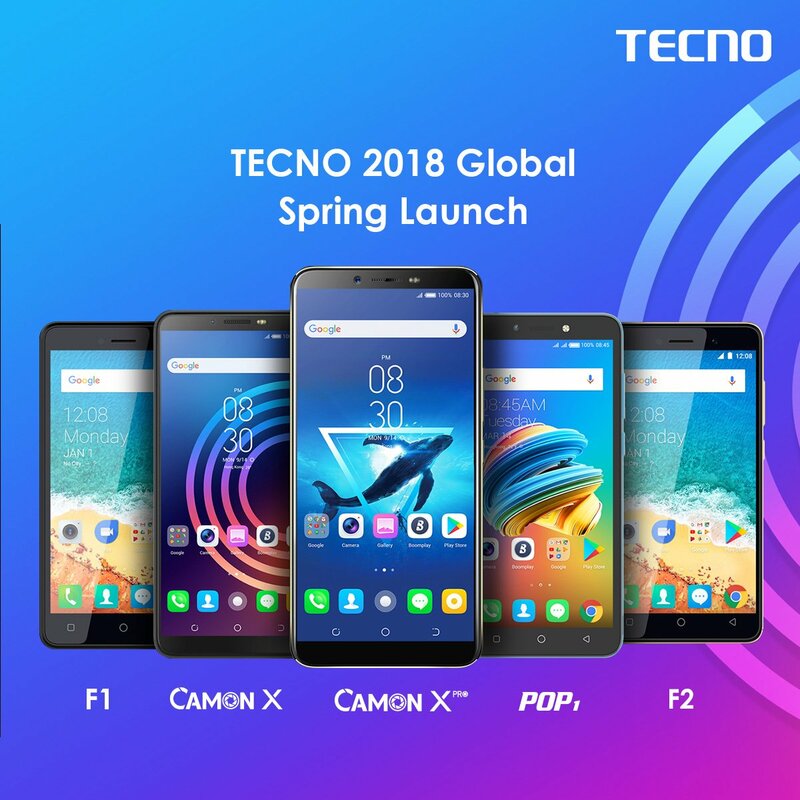 Okay the news of Tecno's global spring launch event is still fresh and wet on many people's lips, as that is the event which saw the launch another pair of Tecno's camera centric smart phones, the Tecno Camon X, and the Camon X Pro. But Tecno didn't just stop there, they also seized the moment to unveil, and introduce us to an entirely new series of smart phones, which we can comfortably call the F-series devices. And these devices include the Tecno F1, the F2, and finally the F3 or you can as well say, the Pop 1. These devices are low end, and low cost android phones, running on the very light version of Android Oreo, the Android Oreo Go Edition, which Google introduced us to some few months back. So Tecno or should i say Transsion holdings, in partnership with Google, decided to give us the F series smart phones, a collection of low end and low cost android devices, running on Android Go, which is the lite version of android oreo, and it is meant for devices like this, with lower end specs, and less than 1GB RAM. So, read all you need to know about Android Go here below. Now before you start spoiling your faces, and be like eeewww...! who's gonna buy these things? Now let me tell you what advantages you get with these devices, and the set of people that they were made for. First of all android go is a lite version of android oreo that is meant for smart phones with lower end specs and lesser RAMs, so that is why the Tecno F Series smart phones are all low end smart phones. Secondly, these phones are meant for people, who don't have enough funds to purchase one or any of the top high end flagship devices we have flirting all over the places nowadays, but still needs a pure and buttery smooth android experience. So since these things are all of the lower end range, at least with up to 10k (Ten Thousand Naira), you should be able to get yourself something reasonably. So you see, they are not a bad idea after all. But something tells me that we should expect a counter attack with something similar or even exactly like this, from infinix very soon. So that is it guys for Tecno's new F series smart phones. Let us know what you think about these devices in the comments box below, and don't forget to share this article if you like it. Bye..